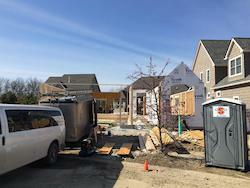 Superior Portable Services serves your business by offering a quality selection of portable toilets to Ohio customers and restroom trailers to Ohio, Indiana, West Virginia, Kentucky, Pennsylvania and Michigan customers during building construction or store build-outs. Provide employees and customers with clean, well-kept portable restrooms from Superior while crews finish updates on your building. Each of our standard portable toilets comes equipped with hand sanitizer for added cleanliness. 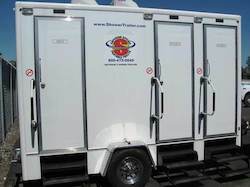 Our restroom trailers come with heating and cooling and running water, so employees and guests still feel comfortable while experiencing your business. 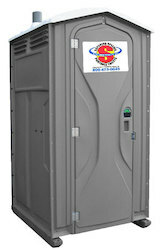 We also offer shower trailers for decontamination purposes, when necessary. All of our portables are available for as long as you require—whether renovations or build-outs take weeks, months, or a year. To request a quote, or to learn more about our sanitation services during your business's construction project, please contact us today. 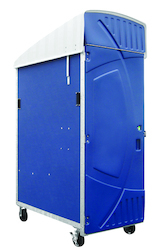 The Highrise portable toilet was designed exclusively for high rise construction sites and offers a unique set of features.